LINER NOTES is on a roll! Introducing…LINER NOTES: THE SERIES! 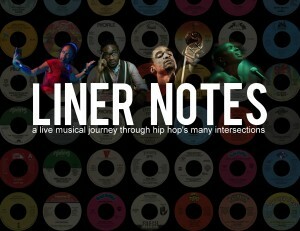 To date, Liner Notes has had exceptional shows at the Intersections Festival (premiere, March 2012))and at the Dunes (April 2012). All ages! Quality music and theatrical experience for the whole family! Our series will also feature shows in November, January and April. More details to come so be sure to sign up for our newsletter or check back here. Remember the booklet that came with your music vinyl, CD or cassette? Where you could discover influential genres and personal statements of artistic expression? In the age of digital downloads, dynamic performer Paige Hernandez brings liner-notes back – LIVE! Collide with hip-hop’s past and present when performer/lyricists Paige Hernandez, Baye Harrell and jazz vocalist Akua Allrich join the The Corner Store Jazz Trio for a unique multimedia experience. John Russell Lamkin, III is a native of Baltimore Maryland. He began playing drums at the tender age of four. John attended The Manhattan School of Music in New York City and later, Berklee College of Music in Boston, Massachusetts. John has been recognized by, toured, played and recorded with a number of exceptionally talented recording artists including Donald Harrison, Najee, Michael Henderson, Kenny Garrett, Christian Scott, Chick Corea, the late great Lionel Hampton, the late great Abbey Lincoln, and many others. John maintains a deep respect and appreciation of those who’ve set standards in the music world. Angelo Hernandez “StrumminSoulSince66” is a native Baltimorean who has been playing guitar for nearly five decades. Angelo performed on local TV and co wrote the theme for the show “For Real”. He was also a member of several bands including: The Assembly, The Essence, Traidwynn Act1 /Nuevo and Racehorse. With Traidwynn, Angelo incorporated original compositions and Latin grooves in over one hundred performances opening for artists Al Green, Norman Connors and Parliament/Funkadelic. Angelo is currently a guitarist with Ethnick Media on projects such as Bossabang!, Humanidad, Havana Hop, Imagination Stage’s Zomo the Rabbit and John Henry. Angelo is excited to perform with The Corner Store as part of this year’s Intersection Festival. Dr. William E. Smith (W.E.S.) is a musician/producer/educator. He has recorded and or performed with many notable artists: Hezekiah Walker, Fred Hammond, James Moody, Donald Byrd, Cynda Williams, Dee Dee Bridgewater, Malcolm Jamal Warner, Wayna, Mike Phillips, Aster Aweke, Gigi. He has released five albums with his jazz group The W.E.S. Group and as a solo artist W.E.S. He continues to produce and record music for other artists as well and creates music for TV and film. He is a published author (Hip Hop as Performance and Ritual) and the Music Industry and Ethnomusicology coordinator at North Carolina Central University. Sam Prather is an exciting and multifaceted musician from Washington DC. Sam has developed a reputation in the local music scene performing and producing with all types of acts. On the funk/soul side Sam has worked on keyboards with YaMama’Nym, 76 Degrees West, and Brandon Combs while on the jazz side he has graced the stage with Heidi Martin, Warren Wolf, Antonio Parker, and Joey Omicil. Sam graduated from UDC where he studied piano with Allyn Johnson and is currently in the Graduate program at Howard University where he plays in the Jazz Ensemble, and studies piano with Charles Covington. Ayesis Clay is a proud graduate of North Carolina Central University where she received her BA in Theatre. An actor in the Washington, DC area, Ayesis also is the Theatre Department Chairperson for the Center for the Visual and Performing Arts in PG County, Maryland and sits on the county’s Theatre Advisory Board. During her time at the CVPA of PG County, Ayesis has had the opportunity to work in a number of capacities such as directing, scenic design, light design and operator, company management, and House manager. Presently, she is the touring stage manager for the critically acclaimed show, “Paige in Full”. I would like to hire you to perform Liner Notes for my family and friends at my 50th Birthday Party in April 2014. I really enjoyed your vibe and the interactivity of the show. If not the full Liner Notes w/ video, I would also be interested in hiring the Corner Store Band with a vocalist. Interested? Break a leg tonight !!!!!! Love ya Paige!! 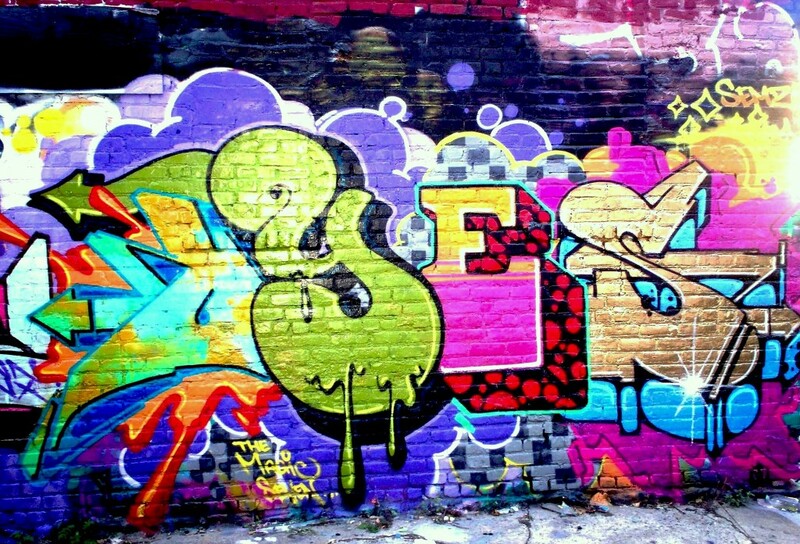 We specialize in productions of all art mediums that speak to a multi faceted hip hop generation. Inspired by artistic collaborations and created in the spirit of B-girls, B-FLY seeks to elevate hip hop within the art community. Be true. Be you. B-Fly.